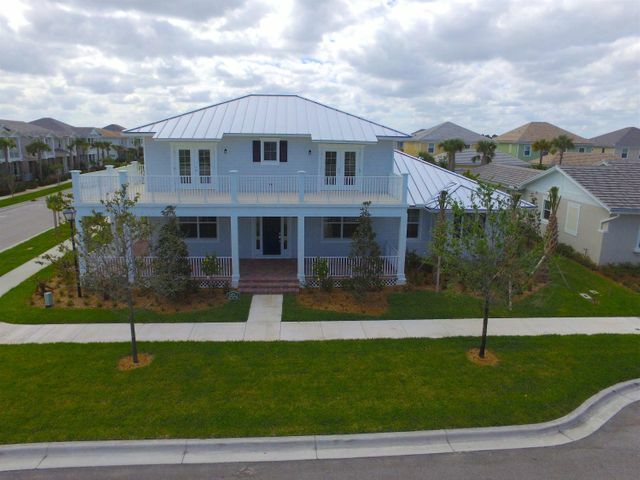 No expense was spared in this newly constructed home at 2842 W Mallory Boulevard in Windsor Park at Abacoa. This home is fitted with six (6) bedrooms, five (5) bathrooms, balconies, and a large front porch. The interior features wood flooring and high ceilings throughout. You'll find stainless steel, top-of-the-line appliances, a large island, and granite counter tops in the open style kitchen. There is a small guest house above the garage with an upgraded kitchen and private balcony. The large backyard provides enough room to build a pool and patio area. Additionally, this home is located just minutes from Roger Dean Stadium and Downtown Abacoa, which features many shopping and dining options.